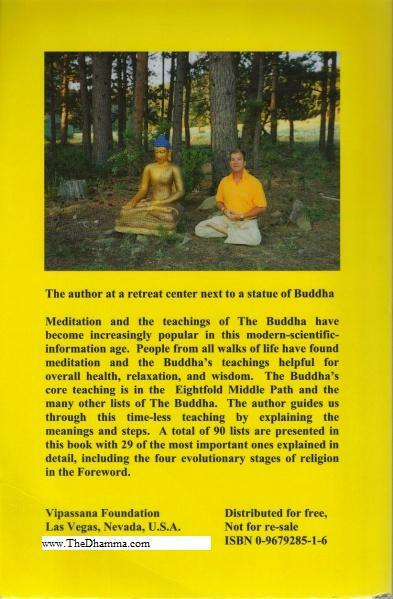 A book by David N. Snyder, Ph.D., published in 2006, which was an Amazon.com bestseller, at the #1 position among Theravada books sold in March - April 2006. The book was in the Top 10 for over 80 weeks from 2006 to 2009. The book includes over 600 of the Buddha's lists and relies heavily on the Anguttara Nikaya of the Buddhist scriptures. 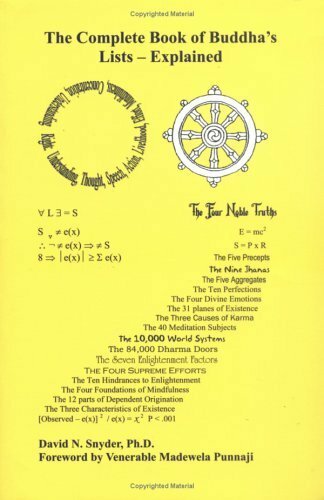 The hard copy print books sold out in June of 2009 and then went online as a PDF download completely for free, no shipping and printing costs for Vipassana Foundation or purchasers as it can be read online as a free e-book. See the link below under references. This page was last edited on 17 February 2018, at 21:23.